Greater Dandenong Council will tip $75,000 into tackling problem gambling. At their Monday 28 May meeting, councillors agreed to the three-year funding plan for the Alliance for Gambling Reform. The municipality has the highest rate of gambling losses in Victoria, dropping $118 million on pokies in 2016-‘17. Only Cr Tim Dark opposed the move. He said pokies venues in Greater Dandenong provided critical support for local sporting and social groups “which is money that council then does not have to put in to support these clubs”. “We should be going back to basics, helping the residents who have a problem with gambling rather than this organisation,” he said. Cr Sean O’Reilly said not only should the council support the alliance. “We should be the number one ticket holder given the wreckage to family budgets that problem gambling enacts on families all around Greater Dandenong,” he said. “The main thrust of the alliance is about harm minimisation. “A few decades ago you didn’t have to wear a seatbelt when you drove. “It’s to protect people from themselves so they can still use them for entertainment purposes. The council granted $25,000 per year to the alliance in 2016 and 2017 to help broaden its staff base and strengthen its campaigns. A council report on the proposal for funding until 30 June 2021 said the 26-member alliance “has proven itself to be responsive and effective organisation for advocating for gambling reform” since its formation in 2015. “Recognising that such reforms hold the prospect of significantly easing the burden of gambling in this community, council has been an active and financial supporter of the alliance,” it said. Cr Matthew Kirwan said the council committed in February to a local advocacy campaign for the upcoming State Election “and the alliance has been giving advice and support as part of that”. “Specifically they have helped develop brochures as well as posters and pull-up banners for distribution and display across the community,” he said. 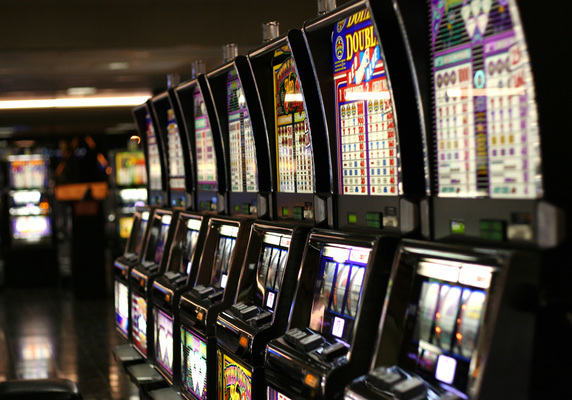 More widely, he said the alliance had sustained campaigns for State and Federal Government reforms on a number of fronts and on Woolworths to relinquish its electronic gaming machines (EGMs). “They have been successfully lobbying AFL clubs to divest themselves of EGMs,” he said.